Composiflex possesses fully integrated in-house machining capabilities. As a result, lead times are reduced and other issues are more easily controlled. A team of qualified suppliers can also be leveraged to address schedule issues and specialty process requirements. 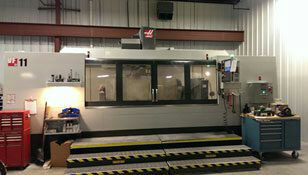 In-house CNC machining capabilities for both components and molded/cured products.